As one of the global leading supplier of cellular and GNSS modules, Quectel Wireless will release its most advanced LTE module on Category 20. 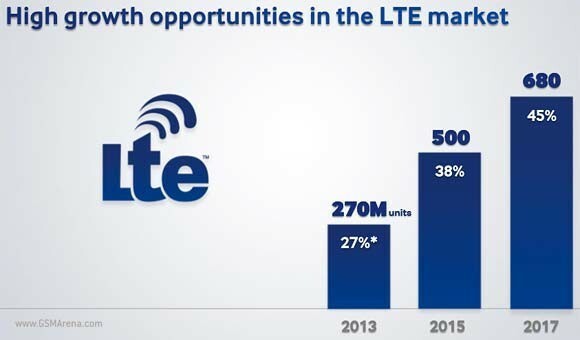 The new LTE cellular module is named EM20, which are bound to bring a brand-new connectivity experience for years to come and it targets at the high-level of wireless connection and 5G commercialization starting in 2019. According to the specifications of the Quectel EM20, we can see the EM20 could achieve download speed up to 2.0Gbit/s and upload speed up to 150Mbps, which is optimized specially for Laptop, PC and high-speed industrial IoT applications. 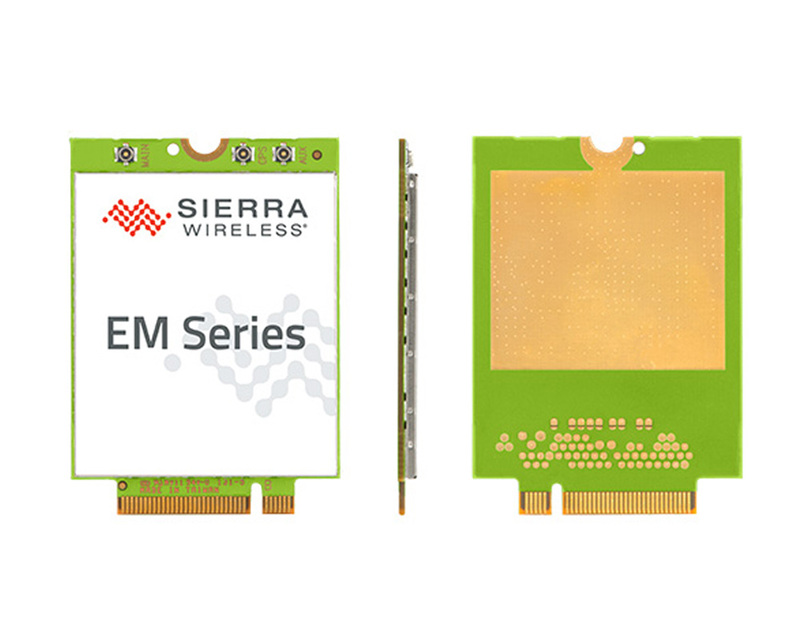 Designed in M.2 form factor and measuring 42.0×30.0×2.3mm, this high-speed module is compatible with Quectel’s broad portfolio of LTE-Advanced products including Cat 12 module EM12 and future 5G module, allowing for smooth migration between different categories and to next-generation connectivity. 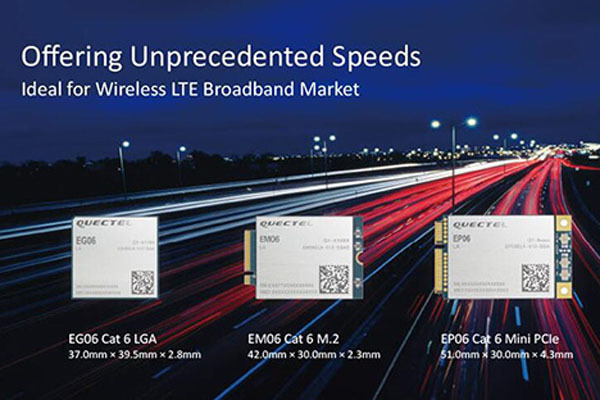 Besides the high speed connection for peak download speed up to 2Gbit/s, based on Qualcomm’s SDX24 chipset and fully compliant with 3GPP R13 specification, Quectel EM20 supports cutting-edge LTE wireless technologies such as up to 7 Carrier Aggregation (CA), 4×4 MIMO technology, 256-QAM as well as LAA (LTE Assistant Access) and CBRS (Citizen Broadband Radio System). 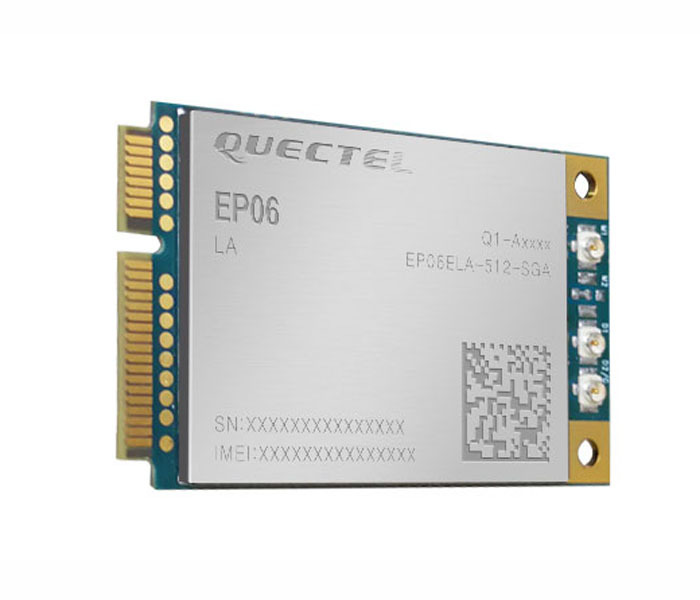 As the high-level LTE wireless module, the new Quectel LTE module supports FDD LTE frequency bands of B1/B2/B3/B4/B5/B7/B8/B12/B13/ B14/B17/B18/B19/B20/B25/B26/B28/B29/B30/B66 and TDD LTE bands of B38/39/B40/B41/B42/B43/B46(LAA)/B48(CBRS). This ensures that IoT devices with Quectel EM20 module inside can operate on networks of nearly all the mainstream carriers worldwide. In addition, Quectel EM20 features Qualcomm® IZat™ location technology Gen8C Lite (GPS, GLONASS, BeiDou, Galileo and QZSS). The integrated GNSS greatly simplifies product design, and provides quicker, more accurate and more dependable positioning capability. Thanks for Quectel’s proven success stories in high speed wireless module industry, and global spectrum availability, EM20 is going to be an ideal choice for ultra-high-speed Laptop, PC, Router, Industrial Gateway, In-Vehicle Video Surveillance System, Cloud-based 4K IP-Camera and many more similar applications, which indeed require very high throughput and preferably low latency. 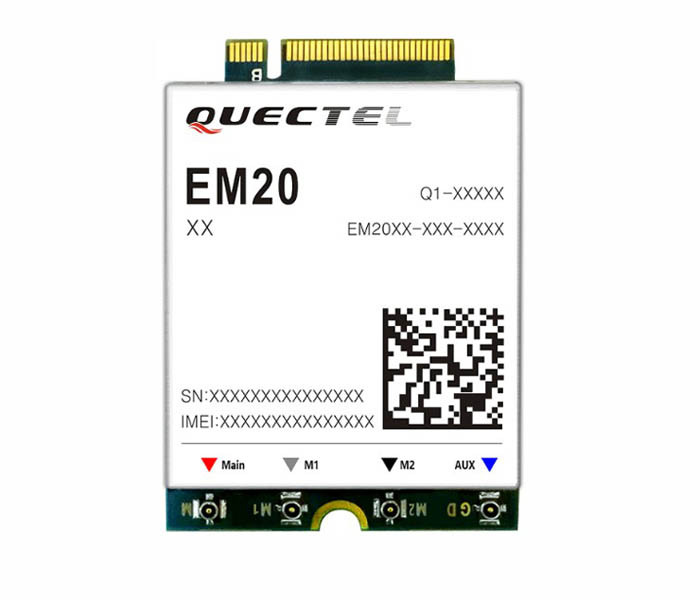 Since Quectel Wireless just debut of EM20, we can’t get the EM20 price currently. But we believe once it’s available in the market for large volume, the price would be down. However, if you need only samples now, it would be hard to buy now. You have to wait for few months to see this real product. 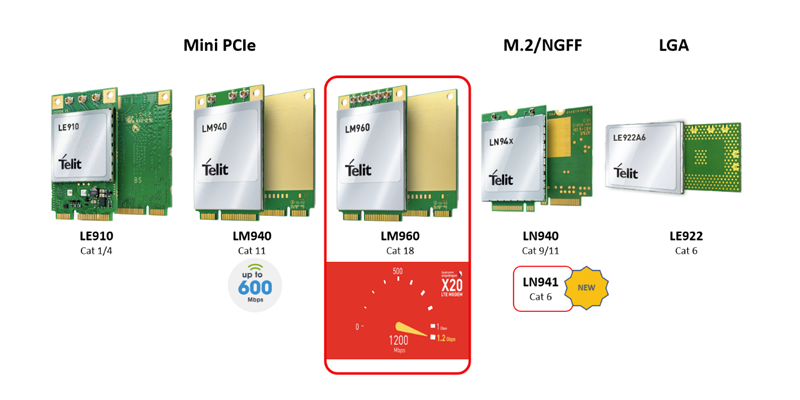 As the specialist of radio connectivity modules and publisher of software and service platforms for the Internet of Things (IoT) market, Telit unveiled the first Mini PCIe module LM940, which is the first card in the world to support LTE download speed to 600Mbps. 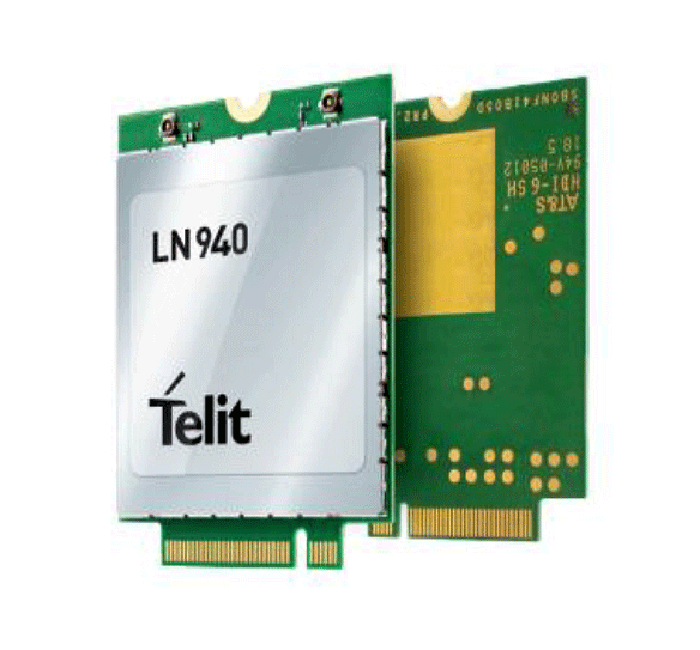 The Telit LM940 module offers full Mini PCI Express format (50.95 x 30 x 2.8 mm) capable of supporting LTE-Advanced Category 11 (Cat-11) technology. 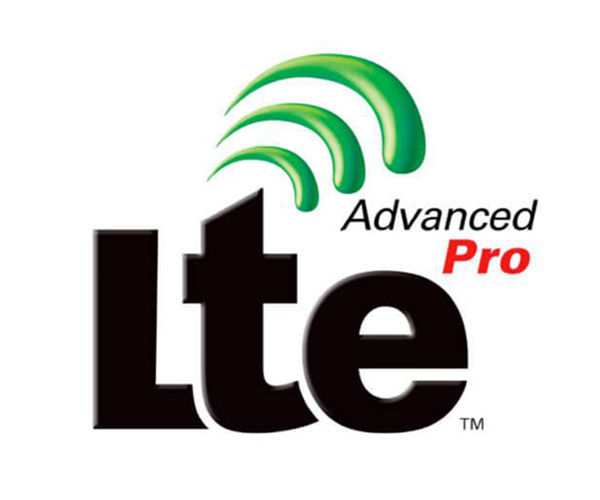 The Telit LM940 specifications are very similar to the current hot LTE-advanced pro module Sierra Wireless AirPrime EM7565. The LM940, which is expected to be approved by several mobile operators in the fourth quarter of 2018, is capable of operating in the temperature range of -40 ° C to + 85 ° C and achieves this through support the carrier aggregation technology (three in this case) and 256QAM modulation. Telit LM940 is based on Qualcomm’s LTE Snapdragon X12 Modem as well as a satellite positioning receiver and is also capable of transmitting 75 Mbit/s in the upstream channel. Telit introduced the LTE-A Cat-18 module LM960, capable of supporting speeds up to 1.2 Gbit/s in the downlink and 150 Mbps in the uplink. Such speeds are necessary, for example, when streaming video from the scene in high resolution or for distributing the Internet in an emergency situation from a mobile platform. 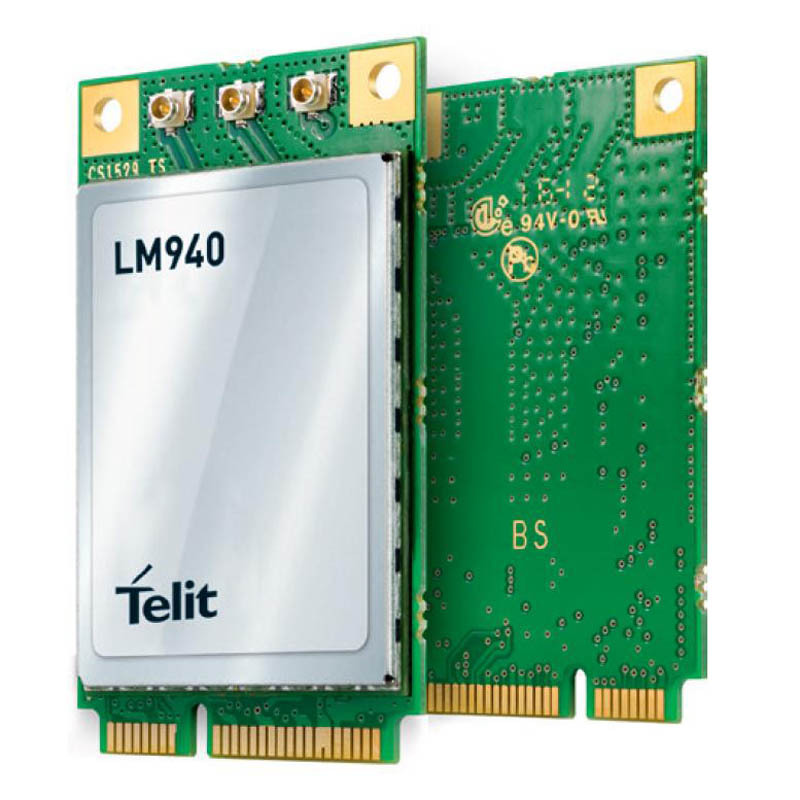 The Telit LM960 module is assembled in a PCI Express Mini Card (mPCIe) format. Telit calls it the first Cat-18 mPCIe module. It will be purchased by FirstNet operator for use in various devices used by emergency workers, in particular, in mobile and portable wireless routers installed in ambulances and other special vehicles. The LM960 module supports both in-band and in-band carrier aggregation (up to 5) to achieve 1.2 Gbit/s throughput in the downlink with a 4×4 Mimo mode and 256-QAM modulation (up to 5). 150 Gbit/s in the uplink). Telit’s product can also operate in up to 23 different LTE bands (16 LTE FDD and 7 LTE TDD bands) including Band 14 (700 MHz), used in the United States for public safety, as well as 3.5 GHz CBRS Citizen Band Radio Service) bands and LAA 5 GHz (LTE-License Assisted Access), the latter allowing to improve performance in particular buildings in addition to the “traditional” cellular service. The Telit LTE Module also supports several satellite positioning technologies, including GPS. In addition to supporting band 14, the LM960 operates in all other frequency bands that FirstNet uses to provide connectivity to the systems used by the emergency services. The LM960 is capable of operating in a temperature range of -40 ° C to + 85 ° C and also incorporates a four-constellation geolocation satellite subsystem (GNSS) and two SIM cards. 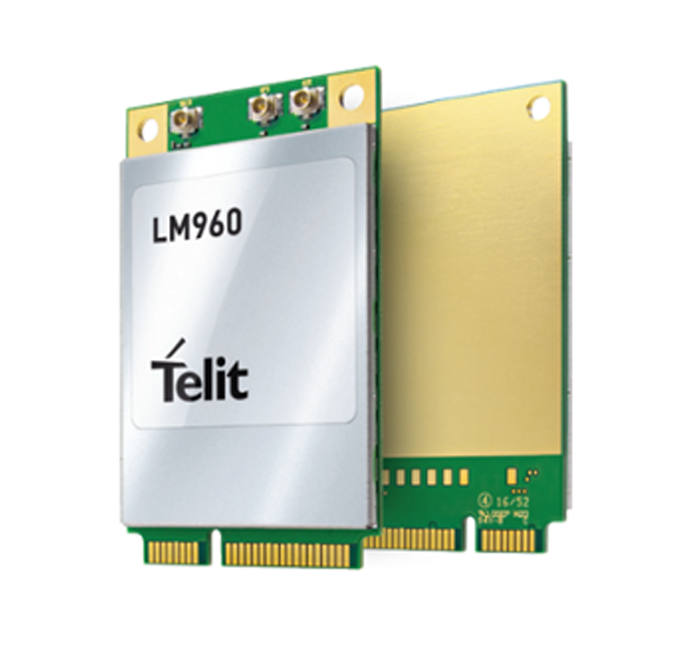 The ruggedized LM960 module is derived from the Cat-11 compatible LM940 and the two cards are interchangeable, says Telit, which offers developers the ability to launch new equipment (routers, gateways, etc.) built on designs already using the Telit LM940, or to create product families with different performance levels (the LM960 for the high-end, the LM940 for the mid-range). Since Telit LM960 is not available in the market for volume and just in the range of testing. The Telit LM960 price is high and there is only few online stores who can supply the samples time to time. 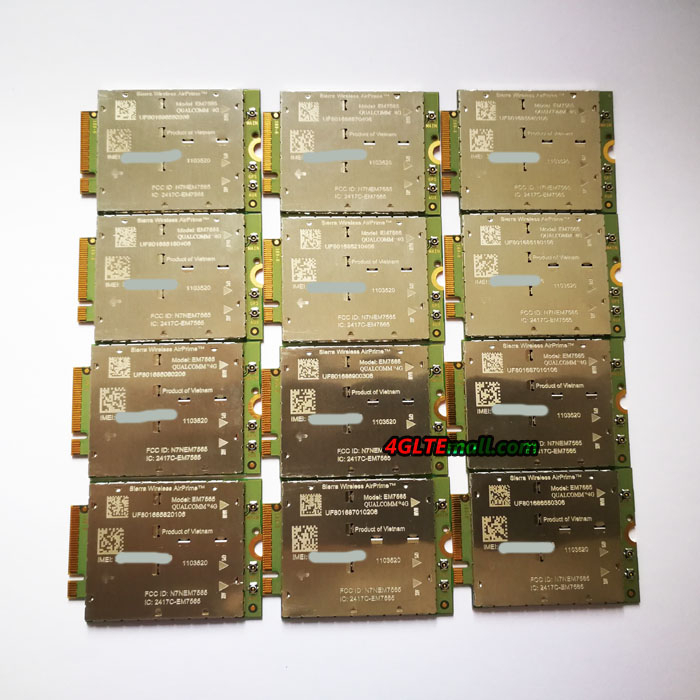 We 4GLTEMALL.com could supply the Telit LM960 samples but not stably. If you want to buy the Telit LM960, you must pre-order first to get it. 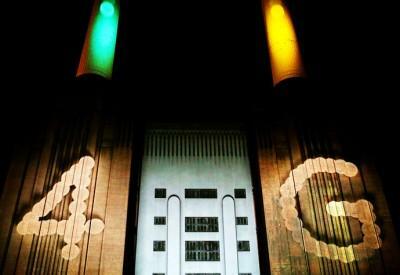 With the development of wireless networks, 5G network is approaching. It’s said 5G networks will be available. The wireless industry leaders such as Qualcomm and Intel are planning the new products to meet the network upgrade. 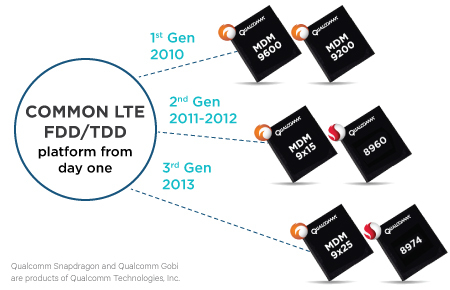 Last month, Qualcomm Inc. has announced that they have successfully trialed a 5G data connection on their X50 5G modem. Qualcomm says during their trial they were able to successfully establish a 5G data connection on the X50 modem using 28GHz mmWave frequency band, with download speeds reaching over a gigabit per second. Intel is also following the trend for 5G network. A couple of days ago, Intel also announced the Intel XMM 8000 series, which is its first family of 5G new radio (5G NR) multi-mode commercial modems. 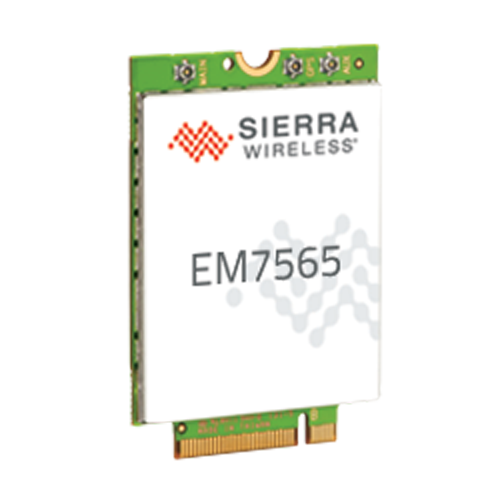 The XMM8060 is the first modem of the XMM 8000 series. Intel also announced its latest LTE modem, the Intel XMM7660, which will be made available in 2019. Intel XMM8060 is the company’s first commercial 5G modem as a competitor to Qualcomm X50 5G modem. 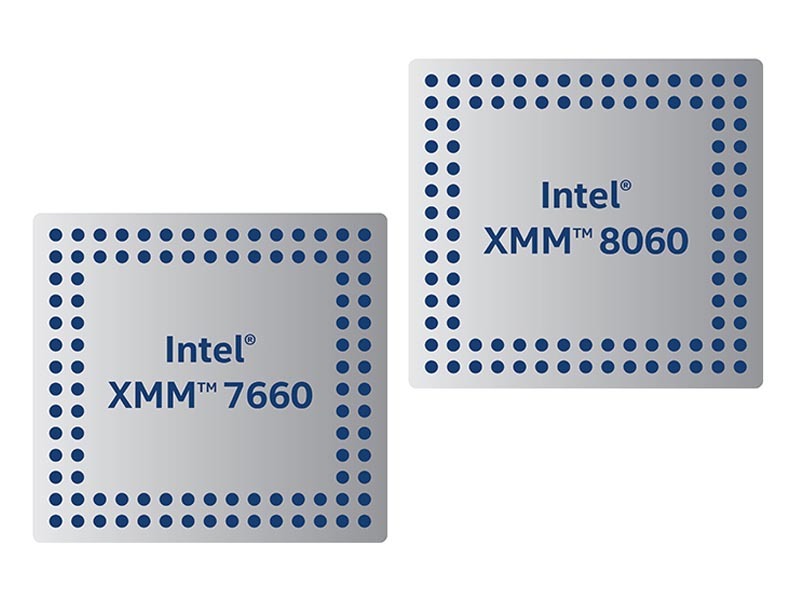 As the typical feature, the Intel XMM8060 is also multi-mode supporting full 5G non-standalone and standalone NR, as well as various 2G, 3G and 4G legacy modes. Thus enabling devices to work in different locations, including large cities with 5G standalone NR (this may be a distant future) as well as rural areas that have 2G or 3G networks. This is important as 5G availability will not be available everywhere all at once, and it will take years for its roll-out to complete, just like how it took years for 4G LTE to be adopted throughout the globe. 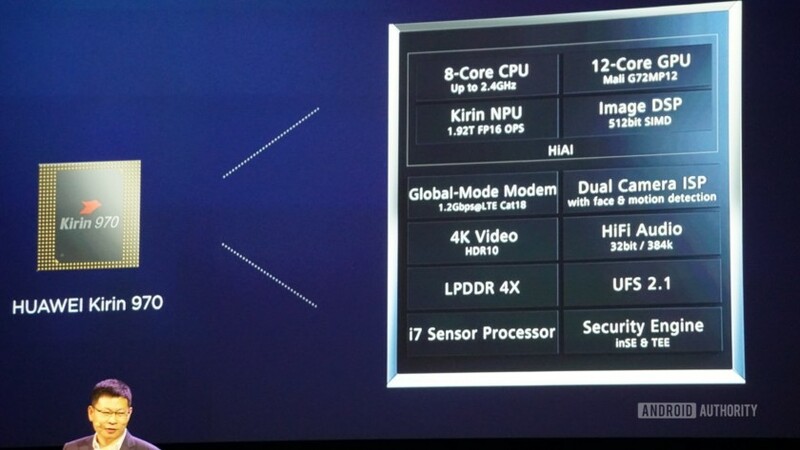 The XMM8060 is expected to be adopted in customer devices since mid-2019 at earliest. As part of the announcement, the company reiterated its plans to offer a top-to-bottom XMM 8000 family of 5G modems for various applications, including smartphones, PCs, buildings and vehicles. 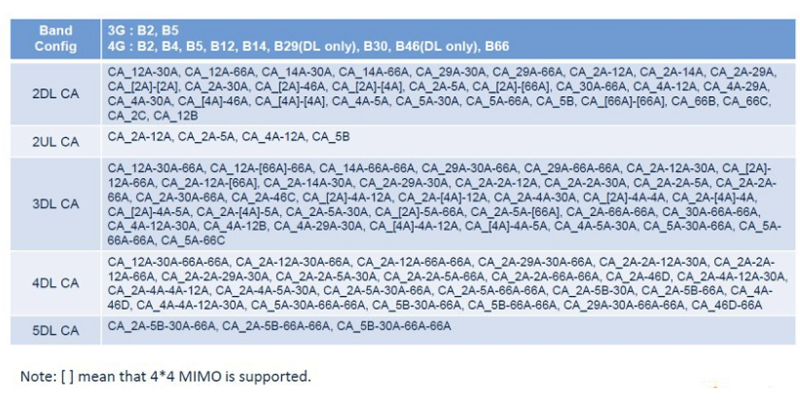 Intel has kept on developing LTE modems as well. 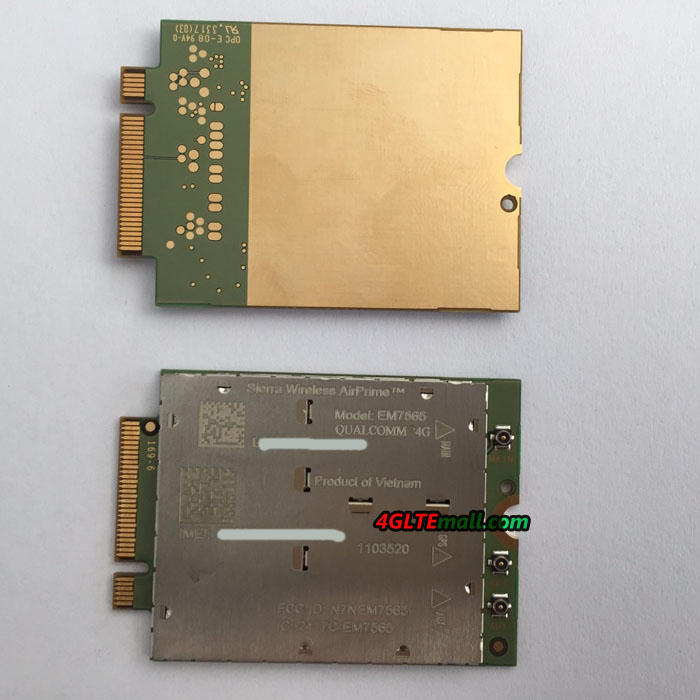 With the Intel XMM8060, the XMM7660 4G LTE Modem was also presented as its second-generation Gigabit LTE modem capable of up to Cat 19 (1.6Gbps) downlink connections. It features MIMO, carrier aggregation, 256QAM and a broad range of band support. 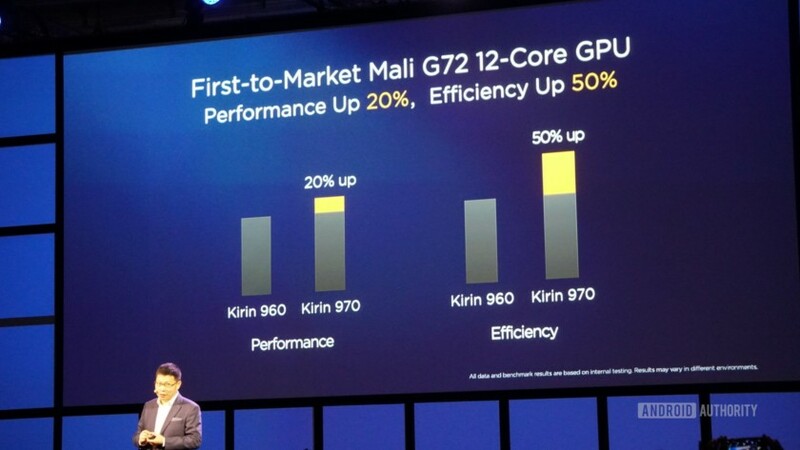 Intel expects commercial devices to adopt the XMM 7660 in 2019. 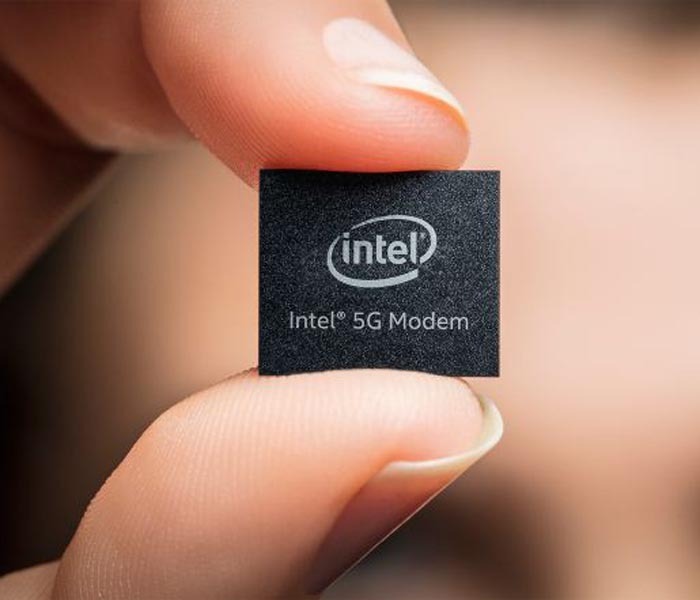 Intel says the series will enable a range of devices from PCs and phones to vehicles and fixed wireless consumer premise equipment to connect to 5G networks. And we will see when 5G coming.